Lofts are trendy. The original term refers to old warehouses, industrial spaces converted into huge apartments. The trend came from the 60-s and 70-s America, and now it has conquered the whole world. 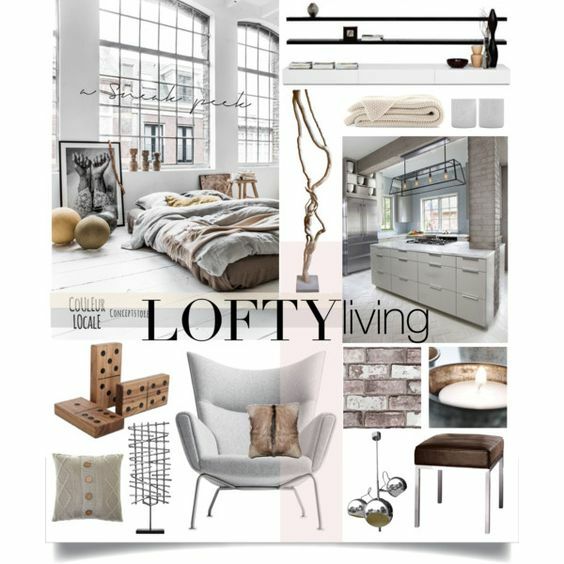 Lofts are fun, stylish, and luckily can be adapted to many styles to create a personal living. These days you can see lofts that are not real lofts but newly-built apartments with all the signiture features. What are these? 2 - huge, industrial lamps - they look soooo good. You could not find a better place for them. 3 - open felxible space and variable layout- you decide how many partition walls you want to build, or just let room-dividers shape the place. 4 - exposed brick - one word: cool. 5 - large windows - they let much light in, and look fantastic as mostly they have unusal shapes and frames. 6 - exposed structural elements and mechanicals - if you do not fancy the sight of uncovered pipes, concrete beams or pillars, do not move into a loft. 7 - ability to embrace many styles - play with mixing styles, try out new trends and colours. 8 - huge walls - are you an art lover? Look no further. Lofts have plenty of space for paintings and photographs. So... are you ready to move? Although loft is not my style it is very sophisticated and elegant. Quite unusual words to loft but these came to my mind for the first sight. Lotfs CAN be elegant! :) I will prove it later!